In our last post we talked about the latest offerings from the Sonos Multiroom Audio System. 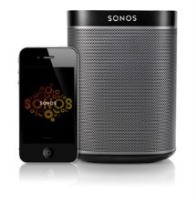 Since then Sonos have announced their latest addition to the already fantastic music services lineup. The new arrival is Google Play Music. Google Play Music was launched in late 2011 and it allows users to upload their own music for streaming anywhere along with a subscription service named ‘All Access’ which allows any of their 18 million songs to be streamed. I’m feeling lucky radio: Your own personal radio station – tailored based on your listening history. I’m feeling lucky mix: Your music collection mixed based on your listening history. My Library: Upload up to 20,000 of your own tracks for streaming. Playlist: Access your playlists directly through the Sonos app. Radio: Create a new station based on any artist, album or song. Customize the station and skip ahead if you don’t like a particular song. Explore: Browse by Genres, Featured and Recommended content. Instant Mixes: Make endless mixes based on your favourite artists or songs in your Google Play Music library. Possibly the best feature is ‘smart’ suggestions. Sometimes, despite Sonos’s ease of use, you just want to have something to listen to without having to find an album and queue it up. Well, with Google Play Music All Access you can do just that… It’s called I’m feeling lucky radio and will setup a queue of tracks based on your listening history. Another great feature is the free storage of 20,000 tracks of your own music collection. Perfect if you have any music that you want to stream to Sonos without the expense of network storage. If you already have Sonos then upgrade to version 4.3 or above to enjoy Google Play Music. If you are considering a Sonos installation of any size then please contact us and we will be more than happy to advise. Previous PostMultiroom Audio: SONOSNext PostSONOS: Should we still be building music libraries?